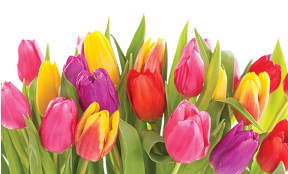 We’re once again pleased to be a corporate Tulip Time sponsor for 2015. And we’ll be leading off with a bang! Join us as we kick off the official start of Holland’s 2015 Tulip Time Festival with great music, food and an awesome fireworks display on Saturday, May 2. Live music begins at 6:30 p.m. at the Kollen Park band shell, followed by a spectacular fireworks display over Lake Macatawa after dusk.